Will this one do the virtualisation job? Citrix has upgraded its XenClient virtualisation software for corporate laptops to give it tighter integration with its XenDesktop VDI platform. XenClient 5 is a 'bare metal' hypervisor installed directly onto a laptop, with additional operating systems installed on top. 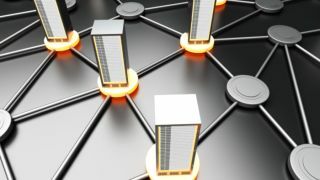 According to Citrix, it uses Personal vDisk technology gained through its acquisition of RingCube to let users switch between operating systems without the need for an internet connection. Citrix says one OS could be used as a locked down business desktop managed by IT, and the other as a personal desktop, with data kept separate between the two. Moreover, it allows users to have their own bookmarks, data and locally installed apps. Another feature of Personal vDisk, XenClient Synchroniser, synchronises profiles and data across desktops, laptops, tablets and smartphones over a corporate network or the internet. It allows IT admins to centrally manage virtual desktops running locally on laptops, and allows them to define security policies, disable lost or stolen PCs and restore a user's virtual desktop on any XenClient-based device. Available as a download from August 12 on Citrix's website, XenClient 5 is included in the company's XenDesktop Enterprise and Platinum editions. Citrix vice president for client virtualisation Mitch Parker said: "With this new level of integration with XenDesktop and seamless personalisation and synchronisation across devices, XenClient further enables enterprises to go mobile. Users have the ability to work from any device, even offline with their laptops, and IT achieves greater security and manageability."